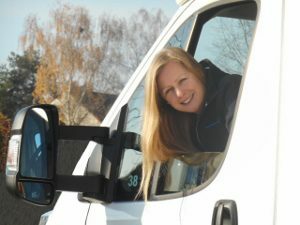 Home > Blog > Welcome to the FMH team Iva! We are so happy Iva Dohnalova has joined our team in the role of Customer Services Administrator. Iva is from the Czech Republic (but she speaks better English than most of the British team! ), and has a wealth of experience in tourism. She has worked and travelled extensively in France, Europe and beyond, spending most of this year in New Zealand before returning to settle in France. 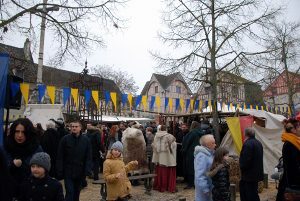 Since arriving earlier this month, Iva has been exploring local tourism highlights, and spent last Sunday in the beautiful Medieval city of Provins (just 50 minutes from our depot), where she took the photos in today’s blog. 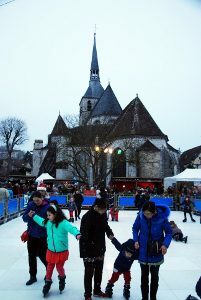 Provins has a lovely Christmas market with a really festive atmosphere, complete with mulled wine and roasted chestnuts being served by people in medieval costume and even an outdoor ice rink. 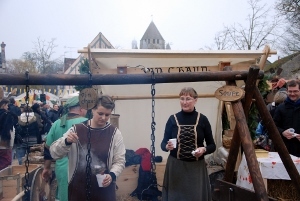 The Provins tourism website is a mine of information about events and things to do and it also shows you were you can stay, right in the city in your campervan (for just €8 per night including use of the WC and campervan servicing point, which are open all year). Welcome Iva, we are all really looking forward to working with you.